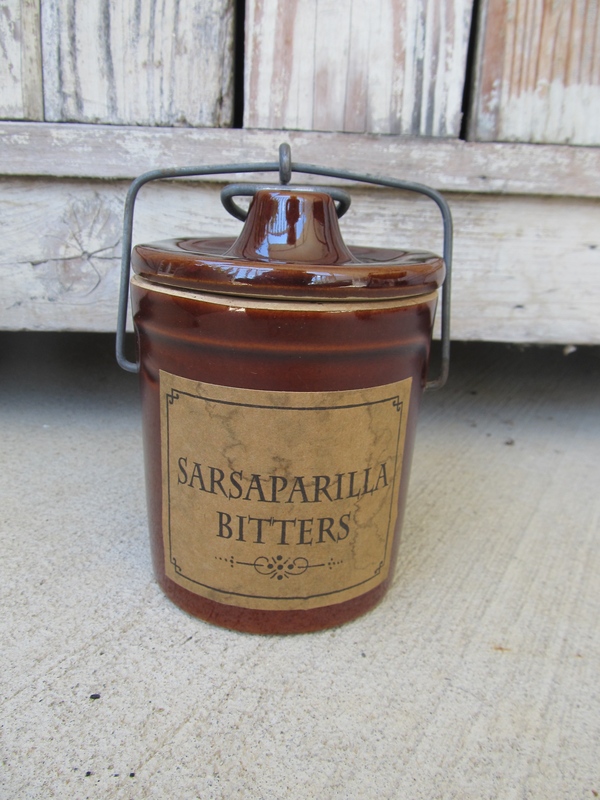 Primitive Brown Stoneware Crock with Sarsaparilla Bitters Label. A unique home decor piece. I had purchased this antique looking label from a fellow crafter. I come across these antique brown stoneware cheese crocks. They have the ball lock mechanism. I thought they'd be perfect with the primitive labels. I've attached the Sarsaparilla Bitters label to this one. A neat look of the olden days for cabinets, kitchens, bathrooms and more. Look for our other listings, while supplies last. Size of this one is 5 1/4" H x 3 1/2"